Delta Interior Design, Member of Italian Aerospace Network (IAN), will attend the “Asian Business Aviation Conference & Exhibition 2017” (ABACE), which will take place in Shanghai from April 11th to 13th 2017. IAN warmly welcomes you to visit our Booth located at P138 in the Shanghai Hawker Pacific Business Aviation Service Center, where Delta Interior Design also successfully established, in 2014, a workshop to perform interior decorations and modifications of business jets, general aviation aircraft and helicopters. Located in Shanghai Hongqiao International Airport, the static display of aircraft at ABACE2017 offers an unparalleled opportunity to make an up-close, side-by-side comparison of several types of aircraft in production today. ABACE is the region’s largest event dedicated to showcasing business aviation products and services to thousands of the region’s top business leaders, entrepreneurs, wealth creators and other purchase decision-makers. 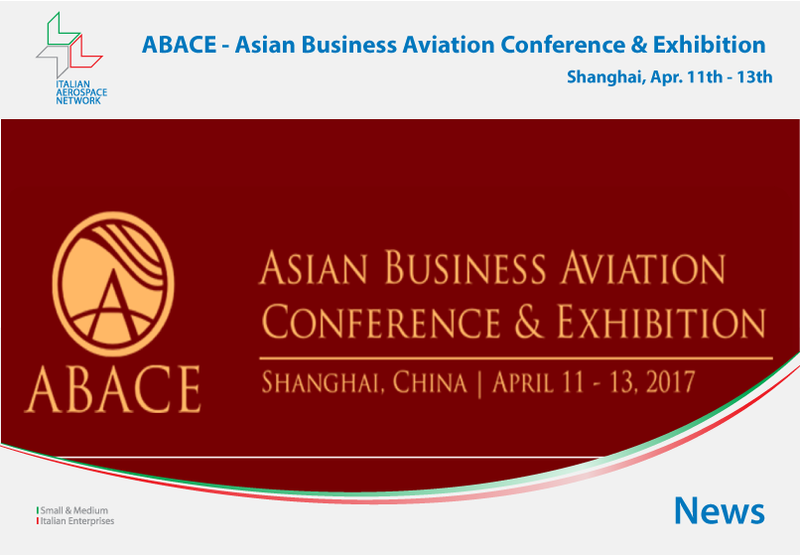 In partnership with the Shanghai Airport Authority (SAA) and co-hosted by the National Business Aviation Association (NBAA) and the Asian Business Aviation Association (AsBAA), the event serves not just as a premiere marketplace for connecting buyers and sellers in Shanghai, but as a catalyst for growing the industry across the Asian region.